Welcome to the newly moved "Live in Los Gatos" blog! We’ve moved! Welcome to our new digs! 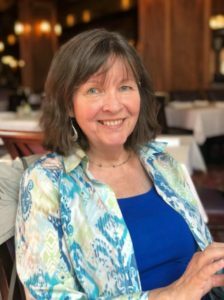 It has been quite a process to move Live in Los Gatos from its original platform, Real Town, to WordPress, as there are more than 750 articles spanning from 2006 to 2014. Not all of those posts are coming over. Most will, some won’t – some are about places which have since closed. Some have now outdated info. So there will be a mix of “deleted”, “left on the old site”, “brought over” and “edited or reworked”. Plus, of course, new content! As before, this won’t be a real estate only site. 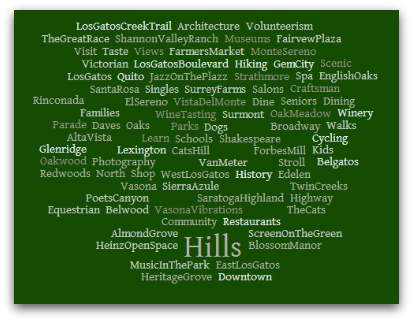 It will include the fun and interesting stuff that makes Los Gatos home – everything from historical tidbits, events, parks, photos, fun stuff and of course info on neighborhoods (that’s what home buyers or renters are looking for), parks and lifestyle. My hope is that the new setup will be more intuitive and richer in every way. As before, topics will include neighborhoods and subdivisions (accessible from the horizontal menu above), the real estate market, events, businesses, parks, photos, some historic information, and all kinds of other information. As much has changed in the 7-8 years since Live in Los Gatos was launched, the old articles will get “touched up” before being re-released. Some will get added maps, images, or video. Some will be deleted – posts about businesses which have since closed, for instance. If you would like to make suggestions on content or formatting, or if you feel that something is incorrect, please jot me a note by snail mail or email. My contact info can be found in the right hand sidebar. We will no doubt have some growing pains and broken links as we forge our way through the transition. I ask for your patience with the change and look forward to bringing you top-notch content about Los Gatos and, at times, nearby communities too.